Greetings of peace! This weekend the Annual General Meeting for Religions for Peace Australia is being held in Canberra and we send thoughts of blessing and empowerment to those involved and for their dialogue and deliberations. 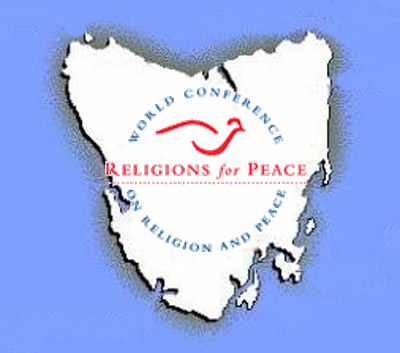 In June, Religions for Peace Tas will not so much have an event as an activity. On Monday 5 June, today, UN World Environment Day is celebrated and on Thursday 8 June, UN World Oceans Day is the celebration. This weekend the Annual General Meeting for Religions for Peace Australia is being held in Canberra and we send thoughts of blessing and empowerment to those involved and for their dialogue and deliberations. It’s therefore very significant that the deadline for the faith-based Community Climate Petition to the Speaker and the House of Representatives (now sponsored by Caritas Australia) is 30 June 2017. The aim of the faith-based petition will be to collect 500 signatures from each of the 150 federal electorates in Australia reminding the House of Representatives that Australia’s greenhouse emissions are the highest per person among wealthy nations while our emissions reduction targets are among the weakest. providing additional assistance to help our poorest neighbours adapt to the harmful impacts. A generic petition is attached for those who are interested. 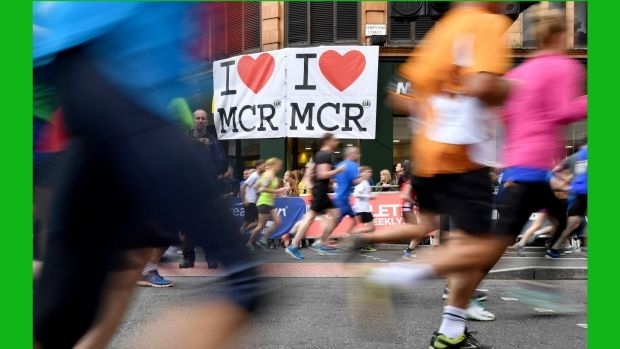 Since the terror attack at Manchester Arena, which claimed 22 lives, a striking feature of the reaction in the city and the wider north west region has been the determination of the majority of people to maintain unity in the community and avoid responding to hate with hate. In Manchester, local faith leaders have been working closely with the mayor of Greater Manchester, Andy Burnham, and Greater Manchester Police, to prevent hate crime. Just as most Mancunians did not blame the Irish community for the IRA bomb 21 years ago (though a minority did), most are able to distinguish between fanatics who carry out nihilistic acts of terror, and the Muslim community they wrongly claim to represent. In this regard, the Anglican Bishop of Manchester, David Walker, and the Catholic Bishop of Salford, John Arnold, have played key roles by working with Muslim leaders, as well as local rabbis and other faith leaders. You can read more – and watch video – here. Dancing will be held this Tuesday 6th June at 7.30pm. We have guest leader Zebunissa from Byron Bay who will lead a couple of dances. We dance upstairs at Wesley Hall , 58 Melville St. There is parking in the car park. You will need to enter through the side entrance via the car park and head up the stairs. In addition, Dances of Universal Peace Tasmanian Retreat will be held during the June Long weekend 2017 9th – 12th June (From Fri 5pm – Mon after lunch) at the Orana Guide Camp, Roches Beach, Tasmania. Treat yourself to a 3 day retreat with a nurturing, friendly, warm community by the beach….singing, dancing and eating delicious vegetarian food. The Dances of Universal Peace are simple to learn circle dances which are uplifting, meditative and joyous, combined with sacred songs, chants and live music from world wide spiritual traditions. All dances are fully taught, no experience necessary. Guided by Nicola Amina with guest leader Zebunissa from Byron Bay, President and mentor of DOUPA Inc. Supported by local dance leaders and musicians. If you would like to just come for the day that is a possibility. The cost for a day is $90 which includes 2 meals and finishes at 9.30pm. Why is life so full of problems? Why can’t we just be happy all of the time? We use up a lot of time and energy trying to find happiness but it’s not easily found. Sometimes it seems that the harder we try, the more unhappy we become. Luckily the Buddha found an explanation of why life is so difficult. But not only an explanation; he also provided a series of practical steps in order to enable us to change things around so that we can become happy. His first teaching after enlightenment is fundamental to all forms of Buddhism and will be the subject of our Tuesday evening sessions this month. Maria Grist will lead this discussion on the Four Noble Truths and the Eightfold Noble Path. Beginners are very welcome. Please join us in a weekend of action for World Peace and Loving Kindness focussing our hearts and minds on World Peace. Free entry or by donation – refreshments available. In a time of war, conflict, stress and disharmony in the world, a national event is bringing Tasmanians and people from all over the country together to generate the essential qualities needed to bring about a more peaceful, harmonious and happier world. Respected teacher of Tibetan Buddhist philosophy, Geshe Tenzin Zopa will lead this first ever Guru Bhumtsok event for world peace at the Kickstart Arts Centre in St Johns Avenue in New Town. Artist Martin Walker-Watson will exhibit his beautiful ‘Sacred Art for World Peace’ – gilded sculptures from Nepal in the Parlour Gallery. You can attend the entire weekend, or just one session. Entry is Free. A new documentary film traces the life stories of four young Sikhs in Australia who have made a name for themselves in their respective fields and reinventing their Australia-Sikh identity. 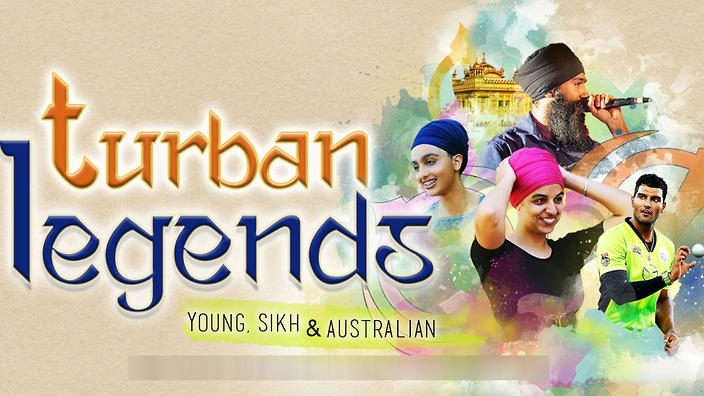 Turban Legends features Australian cricketer Gurinder Sandhu, spoken word poet Sukhjit Kaur Khalsa, hip hop artist L-FRESH The Lion aka Sukhdeep Singh and humanitarian and writer Sahibajot Kaur. The documentary brings to the fore how young Sikh-Australians view their own faith and heritage and what they think of their identity. “What I found was that each of them has found their own way of connecting with their faith,” says filmmaker Ana Tiwary who spent two years making this documentary. One hour vigil will be held on Saturday 17 June 2017 from 11am to 12 noon at Parliament House Gardens, Hobart. Bring your banners, your families, your friends and show our government that you want an end to the threat of nuclear war. Across the world people will be marching on 17 June to show their concern for the current situation concerning the failure of some nations, America in particular together with Australia to work toward banning nuclear weapons; in spite of over 130 other nations in the UN working towards this result. This march is a women-led initiative and inclusive of all genders, ages, cultures and faiths. It is building on movements at the forefront of the resistance to weapons and war. It is occurring in solidarity with the New York Women’s March to Ban the Bomb, organised by WILPF program Reaching Critical Will. This is also part of a National Day of Action across Australia! Brahma Kumaris Hobart Centre, will be honouring the UN International Day of Yoga with a class titled Connecting with the Supreme. In Raja Yoga, this form of meditation allows us to become like a fountain, absorbing and showering the light and vibrations of peace, love and power. The class will be held on Tuesday 20 June from 7.00-8.30pm at Brahma Kumaris Meditation Centre, 51 Risdon Rd., New Town (Cnr Bell St). As part of Refugee Week, people are invited to float Lanterns for Peace on the Derwent on Saturday June 24. This is an all-ages event. Places are limited, so registration at Eventbrite.com.au is essential. For more information contact 6285 9907. Char Dham Yatra – Pilgrimage to the Four revered Pilgrimage places in India with Swami Paramananda. A pilgrimage to the four sites widely revered by Hindus, Badrinath, Dwarka, Puri and Rameswaram, will be held from 1-21 September 2017, leaving from New Delhi. For details contact Swami Paramanandaji on 0410 698 650 or by email swamiparamananda@yahoo.com. A deposit of $500.00 is required by 15 June to secure your place. The President of the Uniting Church in Australia, Stuart McMillan, has condemned as ‘inflammatory’ and ‘deplorable’ comments made by Federal Immigration Minister Peter Dutton. Mr Dutton has described the 7,500 asylum seekers living in Australia as ‘fake refugees’ and given them until 1 October to formally apply for protection or face deportation. “The Minister is playing politics with people’s lives,” said Mr McMillan. Last week 250 Aboriginal and Torres Strait Islander delegates held an historic meeting at Uluru and adopted a compelling “Statement from the Heart”. This meeting was convened by the Referendum Council. It was the culmination of the First Nations Dialogues, one of the last stages in their process. Constitutional reforms to “empower our people and take a rightful place in our own country”. The establishment of a First Nations Voice enshrined in the Constitution. A Makarrata Commission “to supervise a process of agreement-making between governments and First Nations and truth-telling about our history”. The Uluru statement has allowed Aboriginal and Torres Strait Islander voices to be heard by the nation. “Trusting, more than fearing, has to be learned.” Meet Chantal and Wolfgang, a retired couple living in Bonn, Germany, who were moved by their faith to welcome Hala and Ahmed, a couple fleeing the Syrian conflict as refugees, into their home. Watch and share this story of how complete strangers chose #FaithOverFear to become one family as Christians and Muslims, and how they united to bring a child into the world. In development and humanitarian action, it is now widely accepted—including among many avowedly secular professionals and institutions—that religious actors are not only important influencers on a wide range of issues but that they can also be strategic partners. Major government donors, private funders and implementing agencies have “discovered religion” with enthusiasm, due to the possibilities that new partnerships present in terms of addressing social ills tied to poverty, disease and conflict. Central to much of this new energy is a desire to strengthen interreligious relations locally and globally to promote social cohesion and peace. That religion matters is not news to Catholic Relief Services (CRS), whose track record of working with religious actors from many traditions dates back to its founding during World War II. In countries as diverse as Bosnia-Herzegovina, Central African Republic, Egypt, Kenya and the Philippines, CRS has forged strong and effective partnerships with priests, imams, rabbis, monks, traditional leaders and women religious that represent the traditions and diversity of the many communities the agency serves. 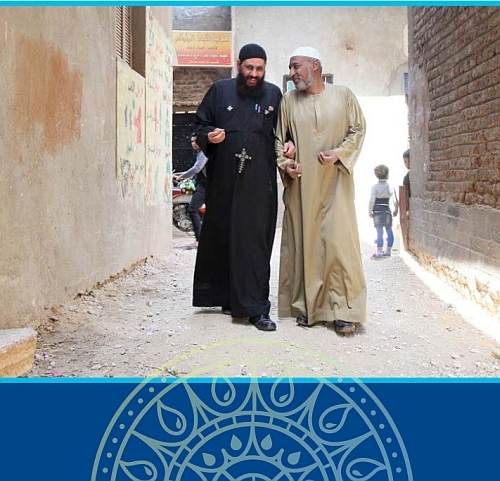 Reflecting a deep institutional commitment to capacity building, support for local partners and continuous learning, this work presents a wide range of opportunities to analyze interreligious collaboration through both a scholarly and a practical lens, as reflected in this collection of case studies and essays. 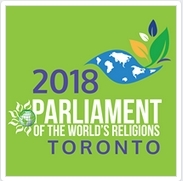 This month, the Parliament invites you to engage with us in our Interfaith Ramadan series. Throughout the month, Muslim and non-Muslim leaders will be sharing reflections on the Parliament website about how they are building solidarity along lines of division and connecting with the values of Ramadan. You will be hearing from a Protestant community organizer working towards affordable housing reform with Muslim partners in East London, and then learn about how an interfaith leader in St. Louis launched the first Muslim Woman’s Professional Network. To kickoff the series, youth representative of the Parliament to the UN and professional staff, Sara Rahim, writes about what’s on her mind as she begins her personal Ramadan observance.